Recently, Senate Finance Committee Chairman Orrin Hatch, R-Utah, and ranking member Ron Wyden, D-Ore., along with Sens. Johnny Isakson, R-Ga., and Mark Warner, D-Va., introduced the Creating High-Quality Results and Outcomes Necessary to Improve Chronic (CHRONIC) Care Act of 2016, a bipartisan bill to strengthen and improve health outcomes for Medicare beneficiaries living with chronic conditions. Among the recommendations is the expansion of the Medicare Advantage V-BID demonstration to plans in any state. A summary of the CHRONIC Care Act of 2016 can be found here. 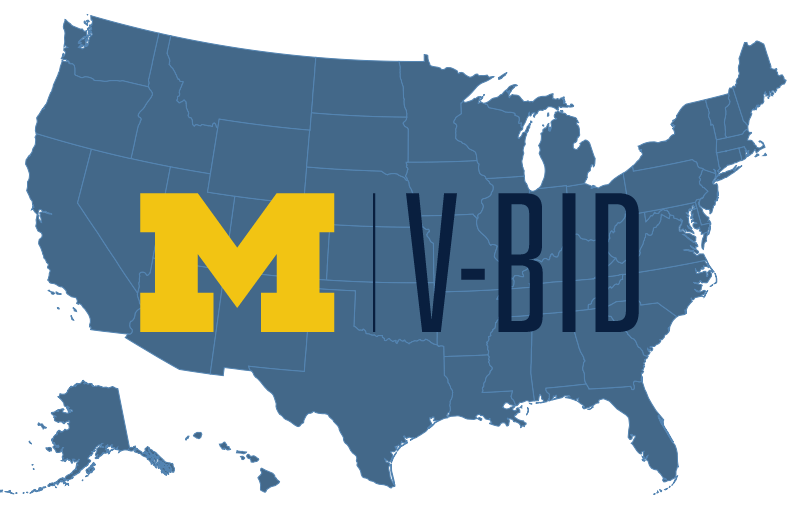 The U-M V-BID Center is pleased to recognize the further expansion of the CMS MA V-BID demonstration to all states by Jan. 1, 2019, and the inclusion of funding to design, implement and evaluate the model test. This growing bipartisan support and expanded role of V-BID principles in public and private payers builds on the TRICARE V-BID demonstration included in the National Defense Authorization Act for fiscal year 2017, and H.R. 5652, the “Access to Better Care Act of 2016.” This bipartisan bill provides high-deductible health plans the flexibility to provide coverage for services that manage chronic disease prior to meeting the plan deductible. Click here to learn more about V-BID in Medicare Advantage.